New Year’s Day is always a good time to set goals. People often focus on nutrition or fitness goals, but neglect their skin’s health when creating a wellness plan for the year! We’ll make skin care resolutions easy with 3 common skin health mistakes to resolve to avoid this year. 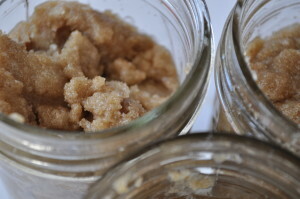 Many people think that to exfoliate you need a scrub, any scrub. But more often than not, a manual scrub is not appropriate for your skin. Some scrubs are really aggressive and will damage your skin. For people with acne-prone skin, scrubs can cause inflammation, spread bacteria and increase breakouts. People think that Clarisonics exfoliate the skin but they really don’t (slightly, but not enough). They’re great for deep cleansing but that’s about it. A serum exfoliates with acids instead of “grit.” The benefit of using a serum to exfoliate is they will likely have multiple benefits for your skin along with exfoliation. Resolve to stop getting skincare advice from social media celebrities. People may use the wrong products because of social media influencers. They see what they are using and want to look like them or have their skin, but the products that work for the Instagram or You Tube celebrity may not be appropriate for the person watching the video. That’s a new thing happening in our industry and I have started to see it with my clients this last year… they see it on YouTube and they want it! For example, you may see someone raving online about a clay mask, but those are only for oily skin or spot-treating blemishes. If someone with normal to dry skin uses that mask, it can lead to irritated dry skin and breakouts. 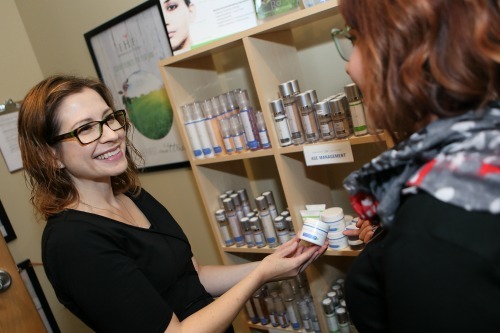 Getting the right products for your skin starts with an esthetician so we can talk and map out your personal needs. That’s why our facials and products are customizable, which I love! Resolve to quit picking at your skin! Now I’m in repair mode to minimize the scarring. 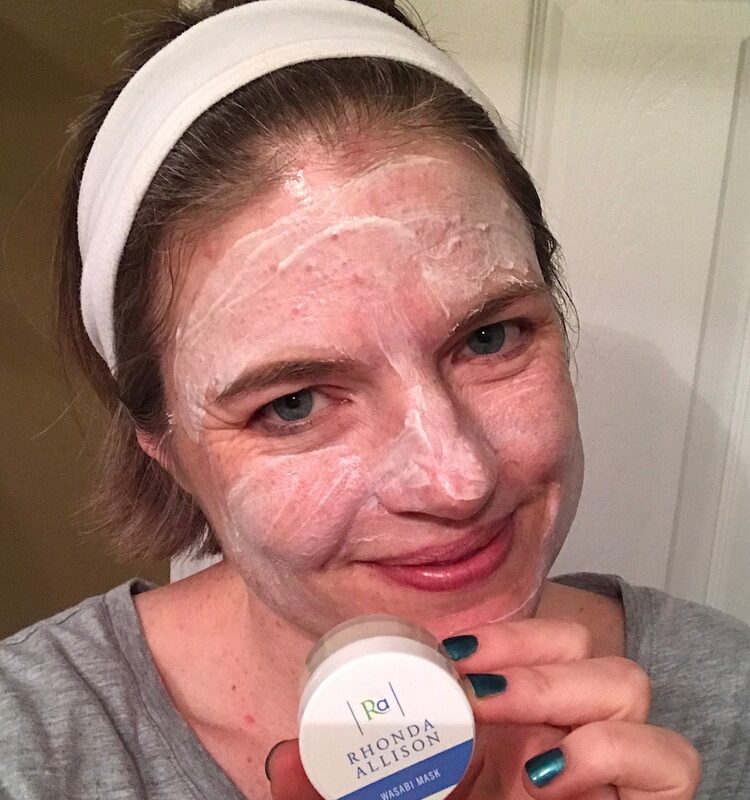 I use Rhonda Allison Perfection Clay to spot treat when I get a blemish to make it easier to extract if I feel compelled to try to do it, and I properly treat my skin before and after. 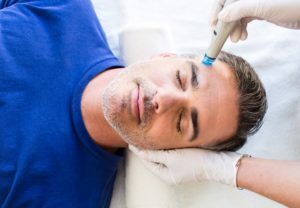 Mostly, I’ve made it a goal to get a facial or Hydrafacial when I’m stressed. 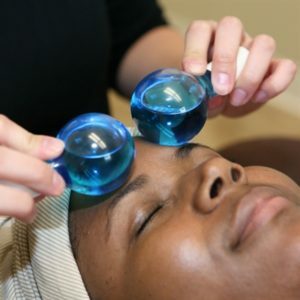 The services are incredibly relaxing which helps to reduce my stress and anxiety that causes my blemishes (and my desire to pick) AND they help with the scarring. Win-win. Need help achieving your new year skin health resolutions? We’re here for you! You can book a facial online here. Not sure where to start? 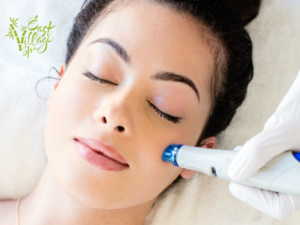 A Wellness Facial is a great option for people who are totally new to professional skincare. Want more stress relief with your facial? Book the EV Signature Facial which has all of the benefits of the Wellness Facial, plus lots of extra TLC. If you’ve tried facials before and want something that packs more punch, I strongly suggest the Hydrafacial. It is a game-changer! 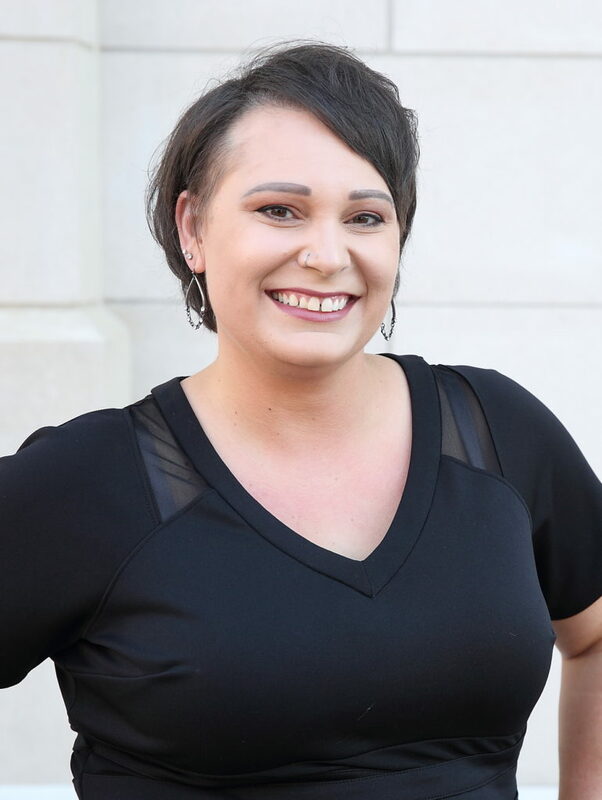 You can also stop into the spa and see if one of our estheticians is free to consult with you about the best service or products for your needs. Cheers to healthy skin and a low-maintenance routine designed for YOUR needs in the new year! I’ve been lucky to have decent-enough skin for the moderate effort I put into it. I had some pimples as a teen, but definitely not acne. I have the rare hormonal breakout and my skin definitely shows signs of sun damage and aging, but I think I’ve been fortunate. 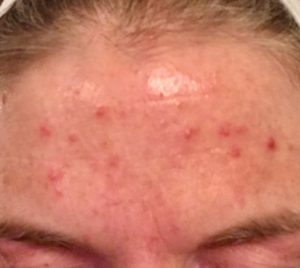 Recently, a ton of changes at once caused my skin to freak out in a painful way. Yikes! I have never had breakouts this bad, this was actually a bit painful. 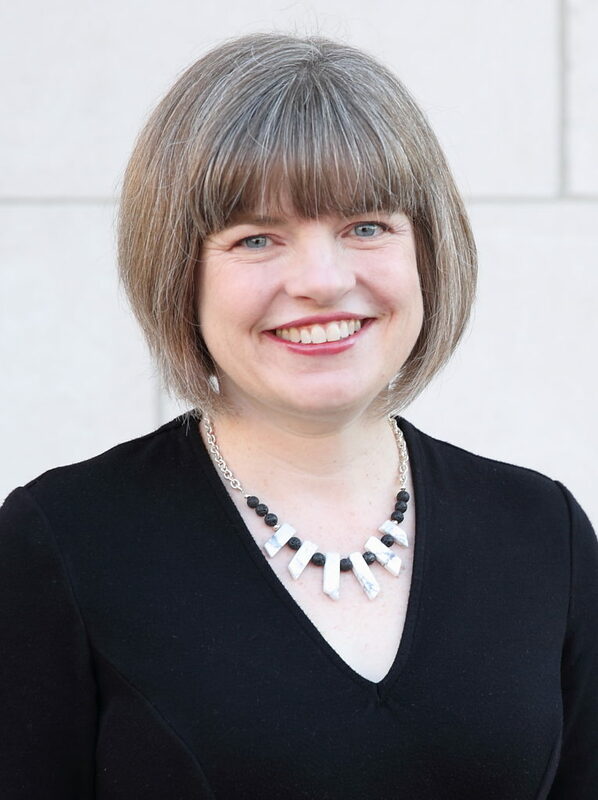 I recently cut heavier bangs and switched shampoos. I’ve increased the amount of sweat, gross lake water, heavy duty sport sun screen, and dog-slobber my skin sees. In hindsight, skin-rebellion was a sure thing. To be fair, I should have gotten bad breakouts long before now considering the gross things I do to my skin! My breaking point came the day laying down for a massage became too uncomfortable with the breakout on my forehead. 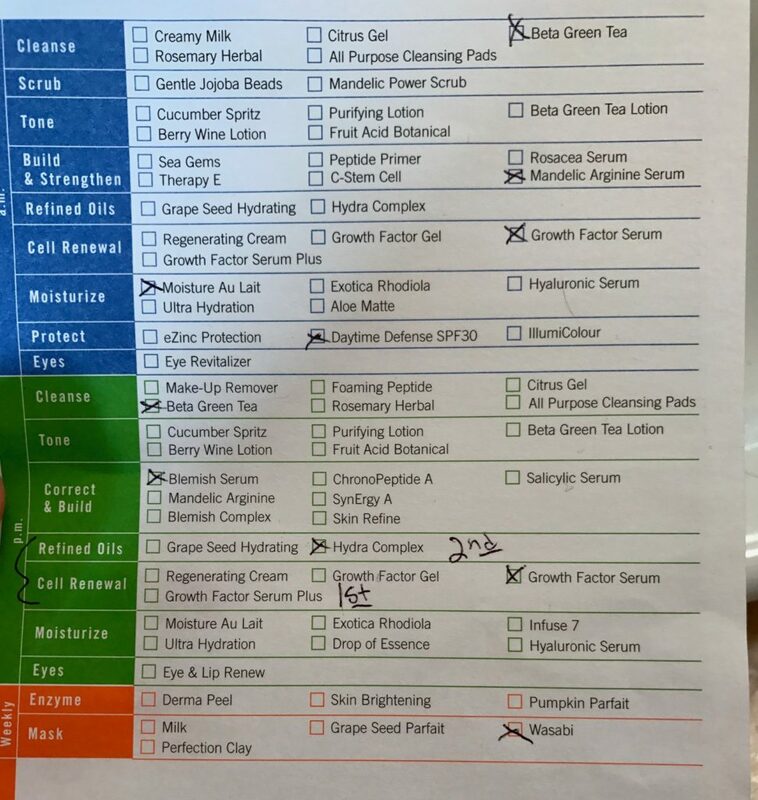 I asked our esthetician Cassandra to overhaul my Rhonda Allison home care routine. She’s struggled with breakouts off and on and has lots of empathy and experience in treating them. She looked at what I was doing, subtracted a few products, and added some more. Surprisingly, she INCREASED the moisturizing I was doing. My recommendations from Cassandra, which I followed pretty well (though sometimes used my BB Creme as my SPF.) I kept the image of the instructions on my phone to have handy while I got ready am/pm. The only fairly pricey product was the Mandelic Arginine and I decided it was worth the cost for the results. Instead of masking just once, I used the wasabi mask twice in the week per Cassandra’s suggestion. She was right…it does start off a bit hot and tingly but it cooled off quickly and I think it really kick-started the healing for me the first night. My first time using the Wasabi Mask. It was a bit toasty for a few minutes! Within a couple of days the pain was gone and the hardest thing was not picking! 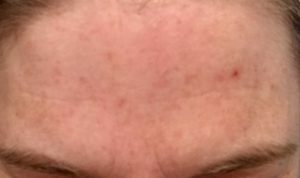 I admit that I picked one area, which you’ll notice in the “after” image, but overall, I was thrilled with my results in a week of being very diligent with the home care. Too often we hear people say they don’t see results, but then they confess that they only used half of the recommended routine, or only did the routine for a couple of days then gave up. In typical business-owner fashion, I decided to look on the bright side and see my skin “freak out” as a test of our professional advice and products and be glad I could document my progress for others who might be struggling. I tried guessing at a routine on my own for a few weeks, but it wasn’t working even though I was using good products. That’s where a licensed, professional esthetician comes in. Obviously what worked for me won’t work for everyone and I’m honestly surprised things cleared up so quickly. After photo, totally smooth skin (minus the spot I couldn’t resist picking) just over a week after I started my home care. 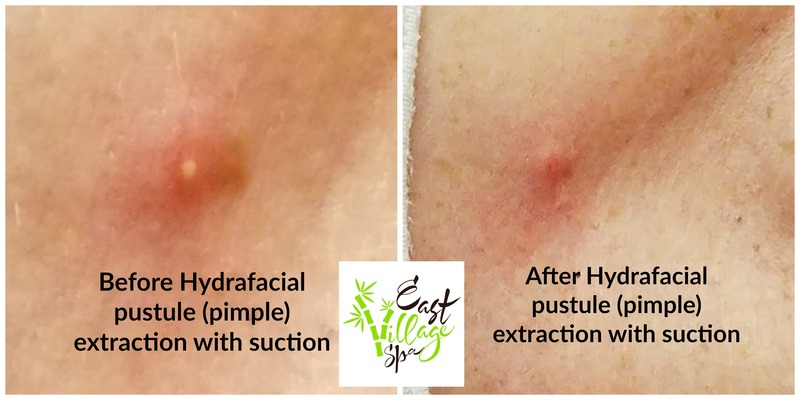 If you are struggling with a breakout, or you have a history inflamed and uncomfortable acne, we have a few facial services that can be helpful in kicking off the healing when partnered with a good routine at home. 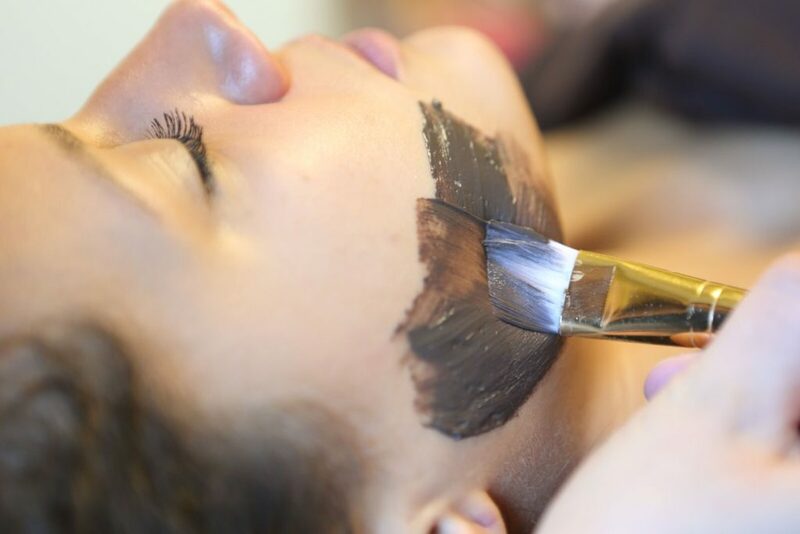 The key is to stick to the advice and keep in touch with your professional esthetician. Want more information or to schedule? Consider starting with the “Clear Results” facial for true acne or the Wellness Facial for occasional breakouts. 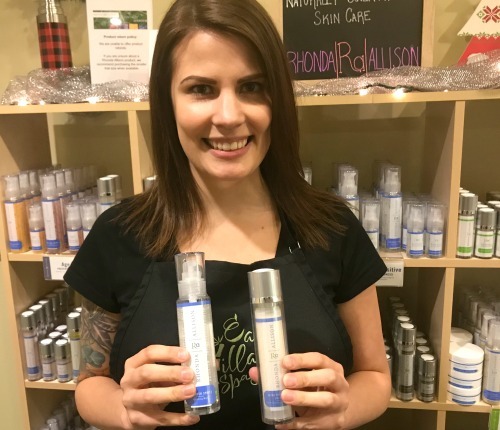 Casey, one of our amazing Guest Service Assistants, was fairly new to spa services when she started with us, but she’s been enjoying “sampling” all of our services and will be contributing to the Spa Newbie section of our blog. 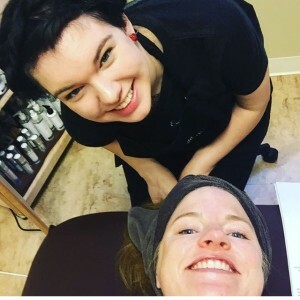 Being a newer employee working the front desk at East Village Spa, I have the opportunity to be the practice “body” for our awesome service providers to try out services they haven’t performed at the spa. My most recent endeavor was getting to be a practice body for three of our newer team members to learn about our Gong Fu Chai Body Scrub. Before working at the spa, I had personally never heard of a body scrub, as I’m new to the spa scene. After taking part in the training session, I know know that the service entails a stress-relieving and circulation massage, while incorporating the Gong Fu Scrub. The therapists alternated between a body oil application and the scrub. I absolutely loved the difference of feeling a smooth rub, followed by a coarse rub, and finished with a warm towel. It as more relaxing than I ever anticipated. After the service, my skin was noticeably softer. Any anxiety I had felt when we started had completely faded away. Although it is not a deep tissue massage, I still felt my body and muscles had relaxed as well. I would recommend this service to anyone wanting to relax and have their skin exfoliated at the same time. It is definitely something I will schedule for myself again! 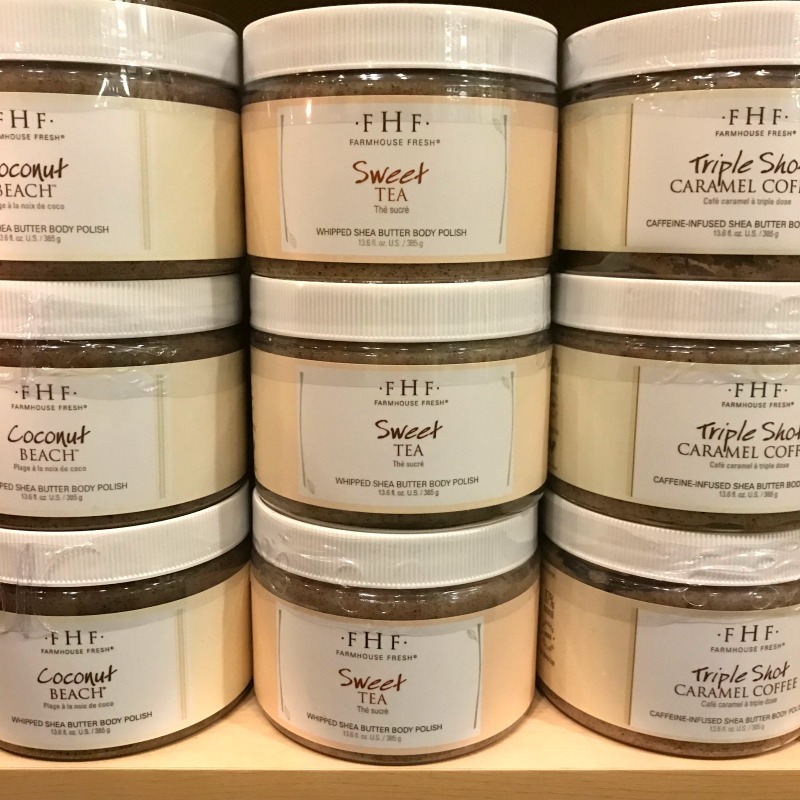 To learn more about our Gong Fu Chai Scrub, check out our You Tube Video where Hannah demonstrates elements of the scrub on one of our employees. The scrub treats skin on the back, arms, legs, and feet and can be upgraded to include a 30 minute facial or 30 minute focused back massage. Book your Gong Fu Chai Scrub online here! Clients are starting to abandon their heavy winter moisturizers for lighter skincare and spend more time outside so it is the perfect chance to learn what’s new for sun care! I talked to Cassandra Lacina-Griffin, one of our licensed estheticians, for answers to common questions. Question: If I have SPF in my make-up, is that enough coverage? Answer: Probably not. Most people aren’t wearing full make-up to take the dogs for a walk and by afternoon, the coverage won’t be effective if you put your make-up on in the morning. For people who want light-feeling SPF coverage, a good choice is the Rhonda Allison Sheer Tint Finisher. It provides SPF 18, is easy to apply, and as an added benefit, evens many skin tones so is perfect under make-up or powder. No SPF product lasts all day, so you would need to reapply something if you put on your sheer tint finisher and SPF make-up in the morning before going out in the afternoon sun. 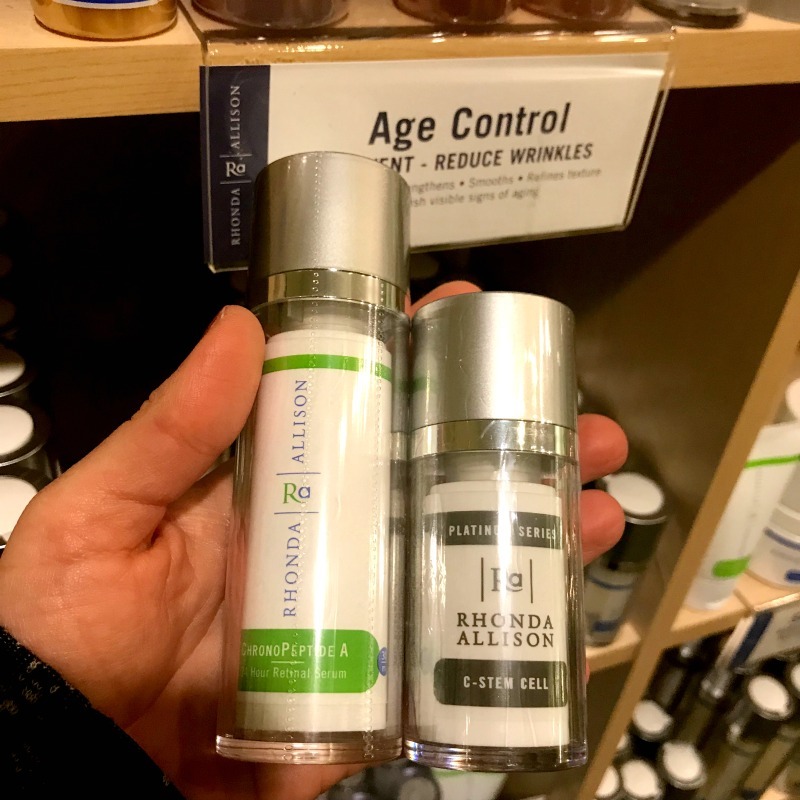 If you will be out for more than a few minutes, you could consider the Rhonda Allison SPF 30 sunscreen which is good for face and body (don’t forget your hands and decollete! They are some of the first body parts to show signs of sun damage!) This still needs reapplied, but will last longer outside and provide more coverage than make-up. You can still wear make-up over it. Question: Should I put on my sunscreen before or after my moisturizer? Answer: Sunscreen goes on after your moisturizer. Depending on your moisturizer (or serum) you’ll want those active ingredients closer to the skin so they can penetrate the skin easier. You want your sunscreen closest to the sun exposure to provide a barrier. Question: Do the products I use impact what kind of sunscreen I need? Answer: When you are using professional grade correctives like many of the Rhonda Allison line, your skin is getting more exfoliation, which means new, fresh skin that is more susceptible to burns. Just because you aren’t prone to burning, you still need sun protection. If you are investing in great skin care and corrective products, you need sunscreen more than ever so you don’t counteract all the good you are doing for your skin. 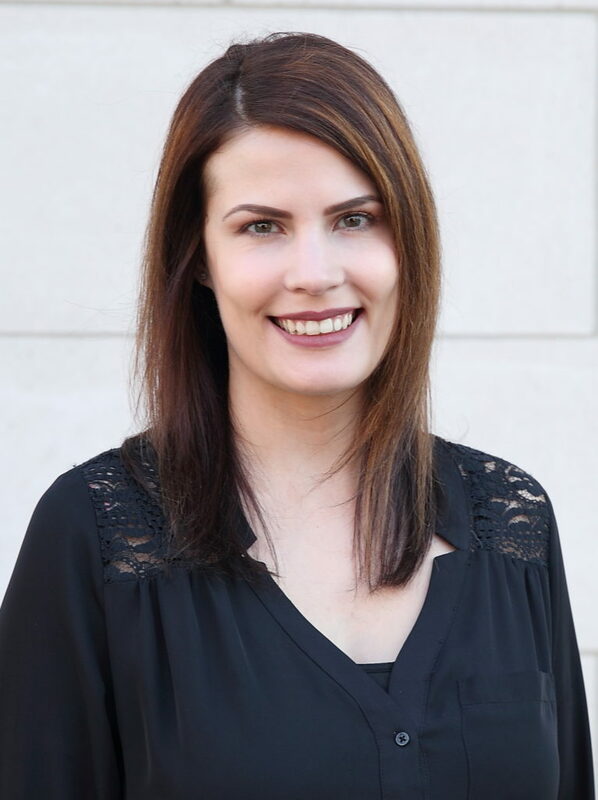 If you’d like more information, book a facial with Cassandra or any of our estheticians by clicking here. Our estheticians want to shed light on a few common misconceptions about skincare. It is easy to see why people get confused because these ideas are sometimes completely counterintuitive! Myth: The best way to treat excessively oily skin is by drying it out. Truth: While it seems like drying out oily skin is the best route, skipping moisturizer or using a harsh toner to try to dry skin can actually strip natural oils from the skin causing the skin to over-produce oil to protect itself. The best option to hydrate oily skin is a serum or gel moisturizer. These products will absorb quickly and skin won’t “panic” and produce even more oil. 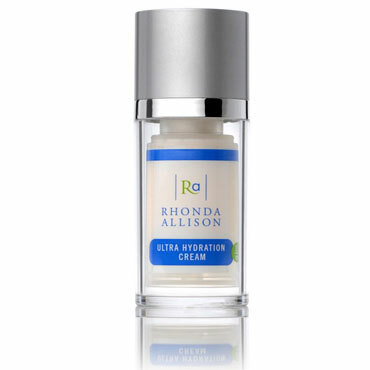 Serums or gels, like the Rhonda Allison Blushed Wine Gel are great light moisturizers to hydrate oily skin. 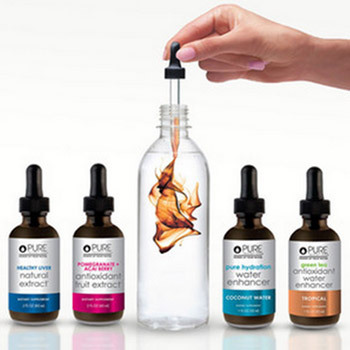 Truth: The acids we use in skincare are naturally derived and vary in strength and benefit. For example, Hyaluronic Acid, which may sound scary, is naturally occurring in the body in synovial (joint) fluid and in the eye. This acid is used in products to plump and hydrate skin and some medical professionals recommend this for wound and burn healing. Lactic acid is derived from milk and is beneficial for dry, mature skin and is often used to exfoliate without over-drying. Some acids are more potent, but just because a product or ingredient is labeled an “acid” doesn’t mean it is scary. Cassie getting a light facial peel using a variety of acids from our esthetician, Cammie. 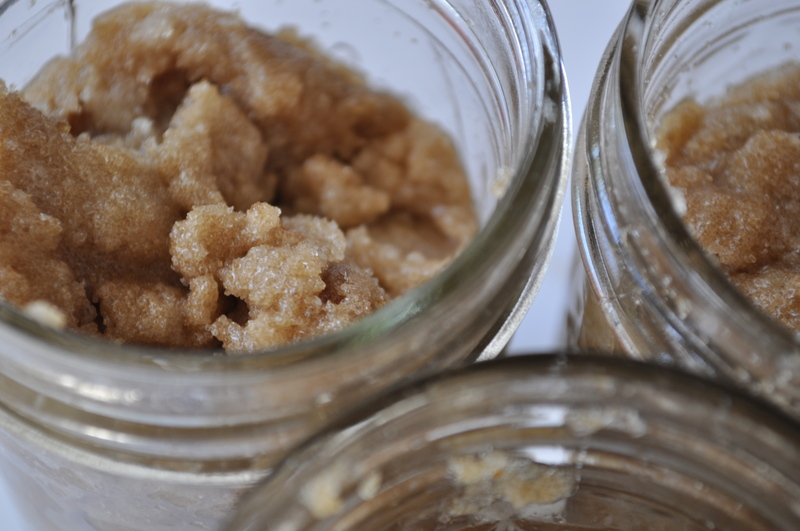 Myth: If you have true acne, you need a good facial (or body) scrub to help unclog pores. Truth: True acne occurs when excess skin cells, oil, and debris clog pores, potentially leading to infection. Using a mechanical scrub over acneic skin may spread bacteria and increase inflammation, worsening the problem. Depending on the severity of the acne, a chemical exfoliation (don’t let the word “chemical” scare you!) is best. For example, glycolic or salicylic acids, applied topically as recommended by your esthetician or dermatologist, will help to break down skin cells and excess oil without spreading bacteria or increasing irritation. Gritty scrubs like those pictured above can spread bacteria and further inflame acneic skin. It is best to stick with an acid based exfoliation instead of a manual exfoliation during a breakout. 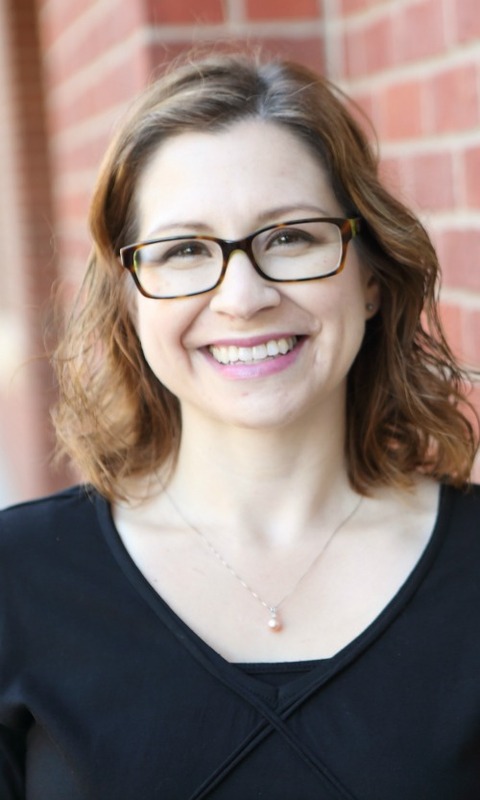 If you have questions about your skin care or want to find out whether or not something you read online or heard from a friend is accurate, ask your esthetician! To schedule a facial for an in-depth consultation and treatment, click here.